Bourbon. Fairly obvious. 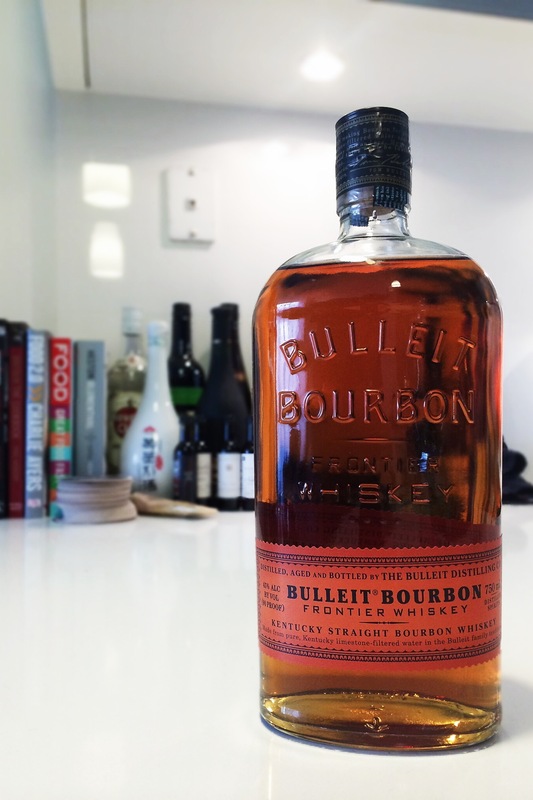 I decided to go with Bulleit for its smooth taste and smokey flavor. You can get away with pretty much any kind of bourbon, though obviously consider how any natural flavors or infusions might interact with or overpower the bacon. Bacon. You’ll need 3-4 strips of uncured bacon. Avoid kinds like peppered bacon with flavors that you might not want introduced to your bourbon. For this attempt I used Whole Foods Maple Bacon to add that sweet maple tasted to my infusion. A jar or bottle large enough to hold the bourbon. A mesh sieve and coffee filters to remove the fat from the bourbon post-infusion. The process is fairly straight forward. Fry up your bacon until it is nice and crisp, then transfer the fat from your pan to the container that you will be using. You only need the fat, so feel free to gnaw on the bacon while the fat cools. In this case my portable bacon disposable unit (or dog) was more than happy to help me out. The bacon can also be dried and preserved for cocktail garnish if you really want to go all out. 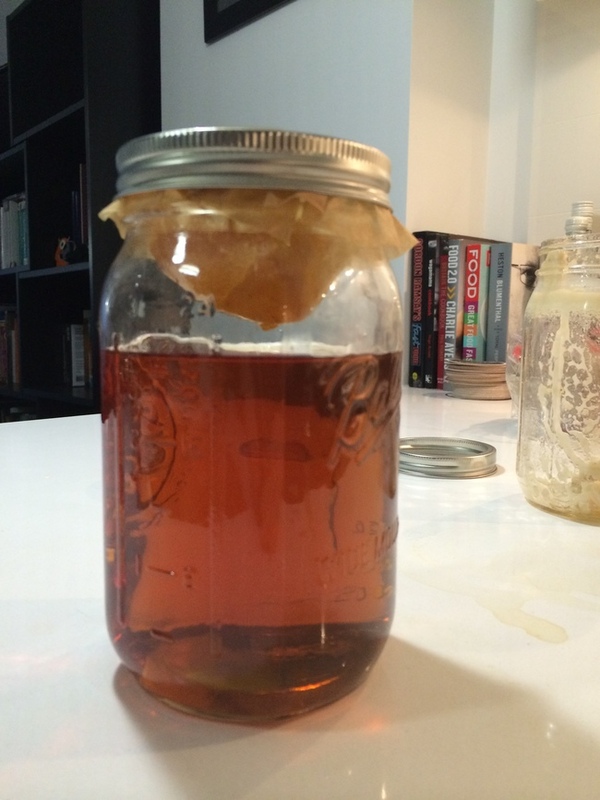 Once the fat is cooled, pour the bourbon into the container and then put it in the freezer for about 24 hours. 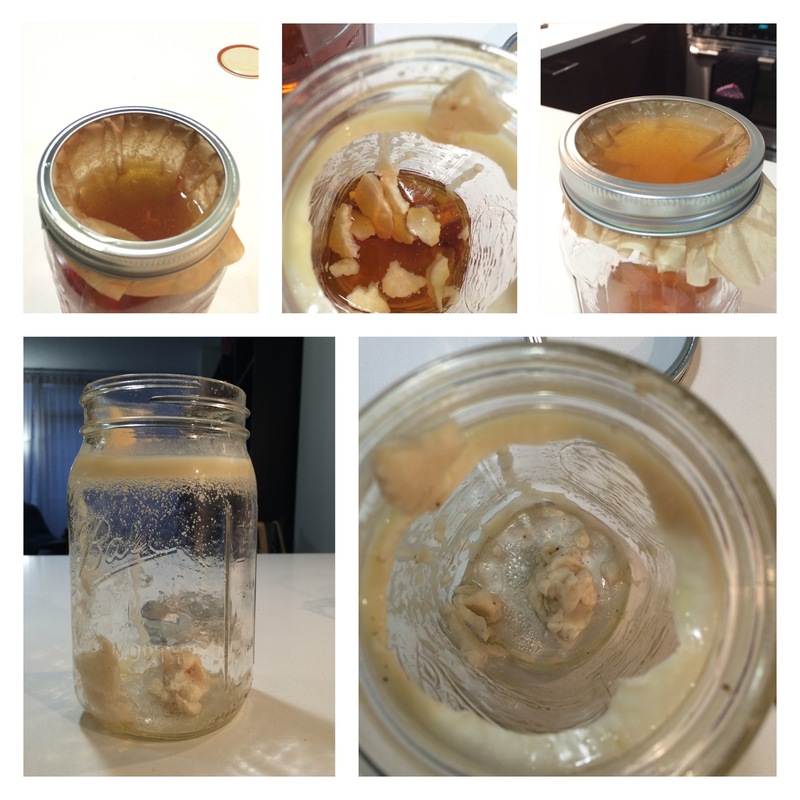 This allows time for the flavor to infuse and the freezing process causes the fat to solidify making it easy to separate. Before you start drinking the bacon bourbon you’ll want to remove the fat - this is where the sieve and filters come in. Using the sieve first, remove the large chunks of fat from the bourbon. Then use the coffee filters to remove the finer specks of fat. 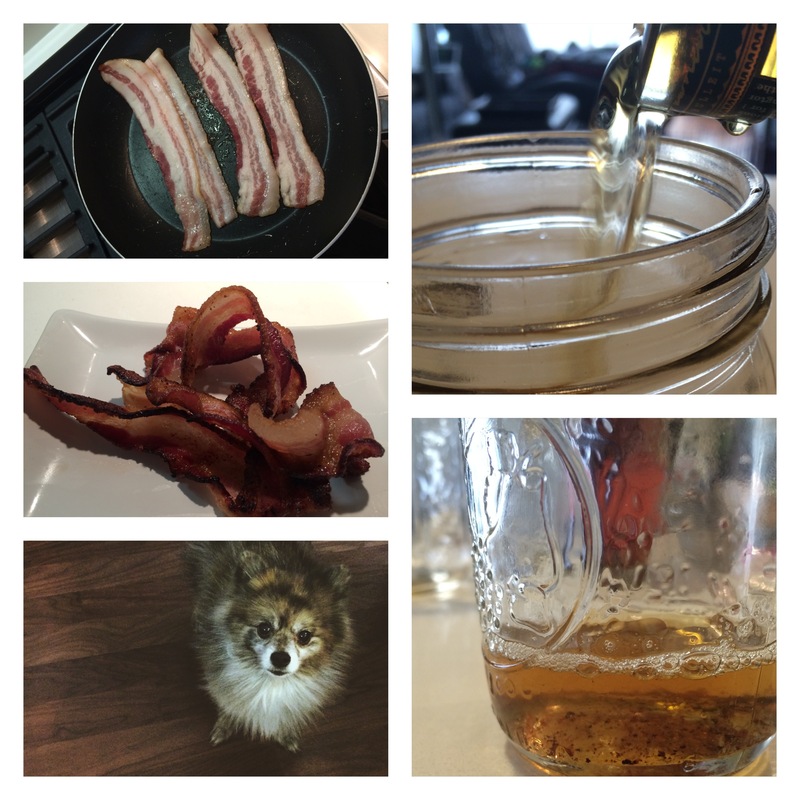 Once done you should have an bacon-infused bourbon all ready for consumption.